Become a Tapmeister and win a GiveMeTap Tshirt! Calling All Tapmeisters!!! 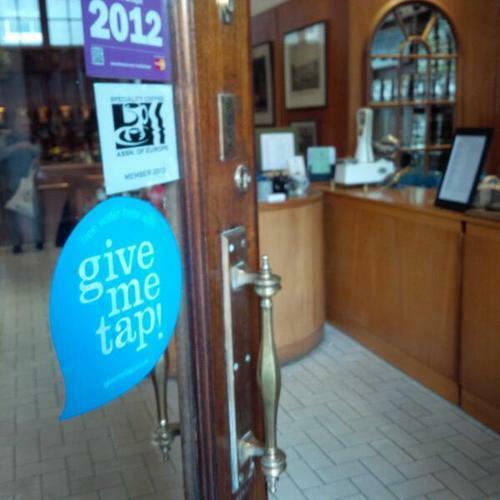 Help us recruit your local cafes and win a GiveMeTap Tshirt! Go to places where your face is recognised, your favourite café, restaurant etc. Tell them you love coming here and want them to be part of our scheme. Talk about what they get for the price of water refill. This includes recommendation for our followers to go there, a profile on the GiveMeTap website and being on the map in our iphone app. If they’re interested email taps@givemetap.co.uk: Send us details of the place, which include the phone number, address, email address of the person you spoke to. Each time we sign up one of the taps you emailed us about, to say thanks for growing the water network we will put your name down in history as one of our founding members (a place of honour on our website!). If you help us signup 3 Taps we’ll send you a Tapmeister t-shirt, and for getting us 10 taps we’ll send you a limited edition bottle (as befits your status).